Russia so desperately desires to be part of the disreputable and collapsing West that Russia is losing its grip on reality. Despite hard lesson piled upon hard lesson, Russia cannot give up its hope of being acceptable to the West. The only way Russia can be acceptable to the West is to accept vassal status. Russia miscalculated that diplomacy could solve the crisis that Washington created in Ukraine and placed its hopes on the Minsk Agreement, which has no Western support whatsoever, neither in Kiev nor in Washington, London, and NATO. Russia can end the Ukraine crisis by simply accepting the requests of the former Russian territories to reunite with Russia. Once the breakaway republics are again part of Russia, the crisis is over. Ukraine is not going to attack Russia. Russia doesn’t end the crisis, because Russia thinks it would be provocative and upset Europe. Actually, that is what Russia needs to do—upset Europe. Russia needs to make Europe aware that being Washington’s tool against Russia is risky and has costs for Europe. Instead, Russia shields Europe from the costs that Washington imposes on Europe and imposes little cost on Europe for acting against Russia in Washington’s interest. Russia still supplies its declared enemies, whose air forces fly provocative flights along Russia’s borders, with the energy to put their war planes into the air. This is the failure of diplomacy, not its success. Diplomacy cannot succeed when only one side believes in diplomacy and the other side believes in force. Washington and only Washington determines “international norms.” America is the “exceptional, indispensable” country. No other country has this rank. A country with an independent foreign policy is a threat to Washington. The neoconservative Wolfowitz Doctrine makes this completely clear. The Wolfowitz Doctrine, the basis of US foreign and military policy, defines as a threat any country with sufficient power to act as a constraint on Washington’s unilateral action. The Wolfowitz Doctrine states unambiguously that any country with sufficient power to block Washington’s purposes in the world is a threat and that “our first objective is to prevent the re-emergence of” any such country. Russia, China, and Iran are in Washington’s crosshairs. Treaties and “cooperation” mean nothing. Cooperation only causes Washington’s targets to lose focus and to forget that they are targets. Russia’s foreign minister Lavrov seems to believe that now with the failure of Washington’s policy of war and destruction in the Middle East, Washington and Russia can work together to contain the ISIS jihadists in Iraq and Syria. This is a pipe dream. Russia and Washington cannot work together in Syria and Iraq, because the two governments have conflicting goals. Russia wants peace, respect for international law, and the containment of radical jihadists elements. Washington wants war, no legal constraints, and is funding radical jihadist elements in the interest of Middle East instability and overthrow of Assad in Syria. Even if Washington desired the same goals as Russia, for Washington to work with Russia would undermine the picture of Russia as a threat and enemy. Russia, China, and Iran are the three countries that can constrain Washington’s unilateral action. Consequently, the three countries are in danger of a pre-emptive nuclear strike. If these countries are so naive as to believe that they can now work with Washington, given the failure of Washington’s 14-year old policy of coercion and violence in the Middle East, by rescuing Washington from the quagmire it created that gave rise to the Islamic State, they are deluded sitting ducks for a pre-emptive nuclear strike. The ISIS jihadists learned that Washington’s policy of murdering and displacing millions of Muslims in seven countries had created an anti-Western constituency for them among the peoples of the Middle East and have begun acting independently of their Washington creators. The consequence is more chaos in the Middle East and Washington’s loss of control. 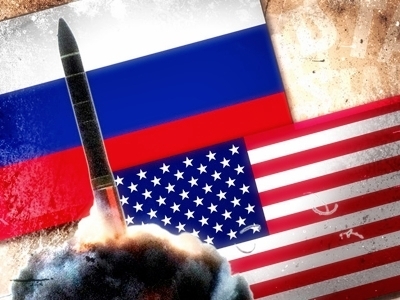 Instead of leaving Washington to suffer at the hands of its own works, Russia and Iran, the two most hated and demonized countries in the West, have rushed to rescue Washington from its Middle East follies. This is the failure of Russian and Iranian strategic thinking. Countries that cannot think strategically do not survive. The Iranians need to understand that their treaty with Washington means nothing. Washington has never honored any treaty. Just ask the Plains Indians or the last Soviet President Gorbachev. If the Russian government thinks that Washington’s word means anything, the Russian government is out to lunch. Iran is well led, and Vladimir Putin has rescued Russia from US and Israeli control, but both governments continue to act as if they are taking some drug that makes them think that Washington can be a partner. These delusions are dangerous, not only to Russia and Iran, but to the entire world. If Russia and Iran let their guard down, they will be nuked, and so will China. Washington stands for one thing and one thing only: World Hegemony. Just ask the Neoconservatives or read their documents. The neoconservatives control Washington. No one else in the government has a voice. For the neoconservatives, Armageddon is a tolerable risk to achieve the goal of American World Hegemony. Only Russia and China can save the world from Armageddon, but are they too deluded and worshipful of the West to save Planet Earth?